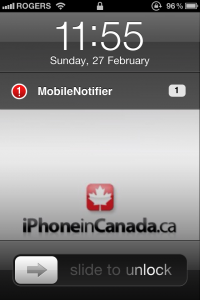 Let’s be honest: iOS notification are long overdue for improvement. Currently I use Boxcar, one of the best ways to keep track of my email and twitter notifications. 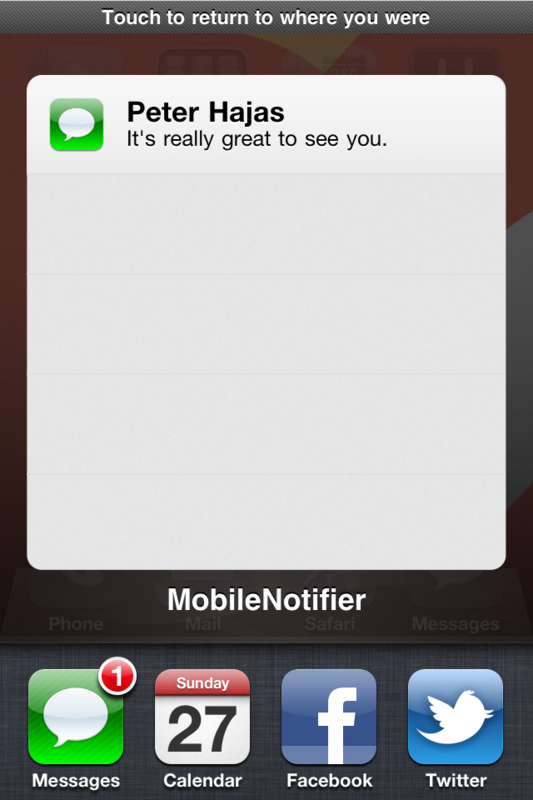 Now, there’s a hot tweak called MobileNotifier (beta 3 release) via Cydia that makes notifications unobtrusive and allows you to keep using existing apps. 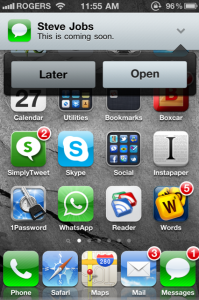 An elegant bar appears up top of your homescreen and with one tap you can choose to close or open the notification. 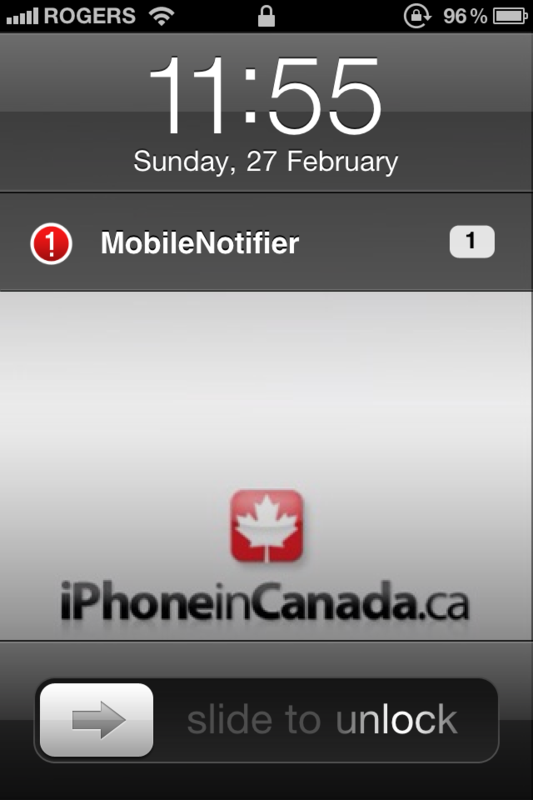 Alerts will also appear on yourÂ lockscreen. 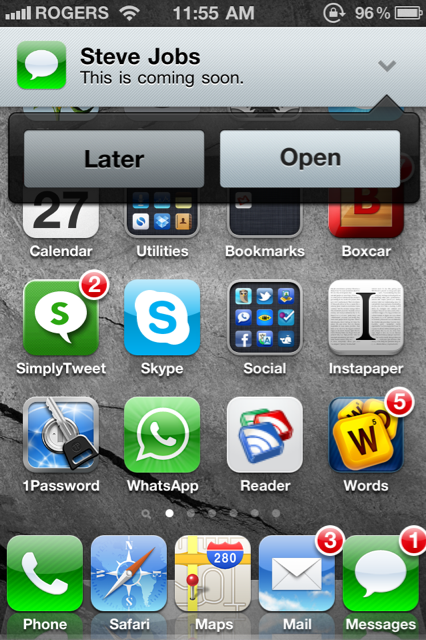 When you double tap the Home button, you’ll see a list of your recent alerts via the AlertDashboard. – and more! The commit log on GitHub is the best place to see all the iterative changes. Let me know how MobileNotifier works for you below. I think it’s one of the best notification interfaces I’ve seen so far, but Boxcar is still my favourite for seeing my alerts in one easy timeline.